How many parties have you been to where someone tried talking you into a fantastic opportunity selling soap or long distance service or…? Instead of relaxing and enjoying the fun like everyone else, they just had to try selling in an inappropriate situation. You don’t want to be that jerk when you are at the party on your favorite social media. Let’s stop and look at what people really do with social media. They are looking for laughs and fun conversation with their friends… and social media is great for sharing fun and networking, but sales pitches are a total turn off. 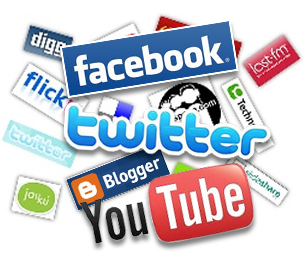 Can social media be an effective marketing tool? Maybe… if you use it right. Used intelligently, social media can be very effective as part of your overall marketing plan. It is a truism that customers buy from people they know, like, and trust. Social media is one of the best ways to create these feelings over a period of time. Doing that will earn customer loyalty and even generate a few direct sales; and those loyal customers will buy from you because they know who you are, like what you do, and trust what you tell them. It all starts with a plan… and that’s the topic of another post. If you want to share your two cents, please share in the comments section below.